The glitzy song and dance sequences of Indian cinema have enthralled audiences all over the world. Largely fueled, by the expat Indian communities in American and Europe, Bollywood has been raking in a lot of money from overseas territories. The real expression of Bollywood’s ability to captivate audiences however comes from places without any significant Indian population. Bollywood pot boilers have found takers in unexpected places. From Senegal to South Africa,and from Pakistan to Afghanistan and Russia, Indian cinema has people hooked on to it. People in a lot of these countries cannot even read the sub titles (in their native languages), yet they enjoy Bollywood creations. This is a true expression of soft power, that transcends linguistic and cultural differences. It is hard to visit any country in the world and not find an Indian restaurant. It might not be a very good one, but trust me, it will be there. That heady concoction of Indian spices, that the world knows as Indian curry, has been voted as the most popular dish in a lot of countries. And when Hollywood comes out with a movie featuring Aishwarya Rai as The Mistress of Spices, it is a resounding acknowledgement of how Indian spices have taken the world by storm. When you rule peoples’ palates, it is my firm belief that you have won over their souls. It is hard for any company or even an individual in any corner of the world to do business and not be touched by Indian software. India’s mastery of software development and our large reservoir of software skilled workforce, has the world in awe. It is an aspiration among a lot of developing nations to emulate the Indian story in developing their own software and technology sectors. Needless to say, in this technology driven world, software power translates into a potent form of soft power. 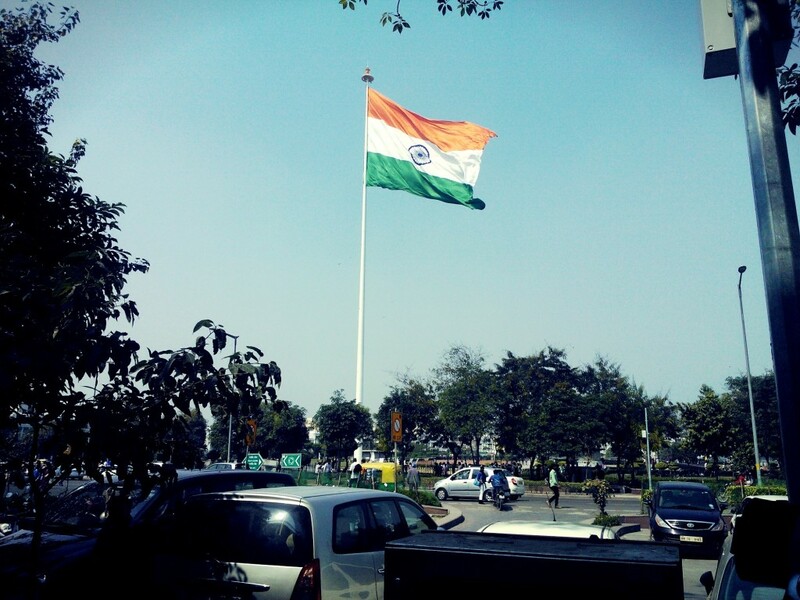 The tricolour at the central park in cp in #Delhi caught the fancy of young and old, rich and poor alike. Soft Power. However, all the examples that I have mentioned so far, have a commercial angle. Our civilization has taught the world far more. Our forefathers discovered that the Earth rotates on its own axis when Christ was yet to be born. Out ancient mathematicians calculated accurately the distance between the Earth and the Moon when the Greeks were still grappling with the Pythagoras Theorem. Our forefathers, discovered pie and calculated its value correct to several decimal places. Most of all we gave the world zero , without which the digital age would not have been possible. Our philosophers and religious texts inspired humanity to think rationally. India is the birthplace of some of the greatest religions of the world and we assimilated the ones that were not born here into our culture effortlessly. In it lies the great lesson of tolerance for other beliefs and thoughts that the west learnt only 2 centuries back and the middle east is still trying to grasp. Ayurveda and Yoga are gaining a lot of traction the world over. People , the world over, are beginning to embrace Indian concepts to learn to be at peace with themselves in this materialistic world. It is not an accident that despite being one the most populous nations in the world, we have some of the richest biodiversity existing anywhere in the world. Respect for nature is ingrained in our culture. The world right from the ancient times has been more Indian than you think. And it will make the world a much safer, better and peaceful place, if it continues to absorb Indian ideas. It is truly one of those few civilizations, that can claim credit for taking mankind forward in unraveling the quests that have stormed the collective human consciousness since time immemorial. This post was written as an entry to the IndiBlogger and Lufthansa More Indian Than You Think contest. Wonderful article. “The world right from ancient times has been more Indian than you would imagine” is a great thought based on facts. Thanks. superb writeup. glad I landed on your post and the quote of Mark twain is really supe. i hadn’t come across this one. I see a lot of research done in this writeup. best wishes. Thanks Pranay. Glad you liked it!